I've mentioned before that the kitchen layout is not my favorite. Truthfully, I don't really like anything about the kitchen except for the fridge. Well, I like the fridge, but I don't like where it currently sits. The previous owner opted to widen the doorway between the kitchen and dining room. To do that she needed to move the fridge... so she removed the pantry door and put the fridge INSIDE of the old pantry. It looks odd. Really odd. But that's a post for another day. I guess after she got rid of her real pantry, she discovered that she actually NEEDED the space a pantry provides, so she bought and installed this thing. Ummmm.... It isn't exactly our style. 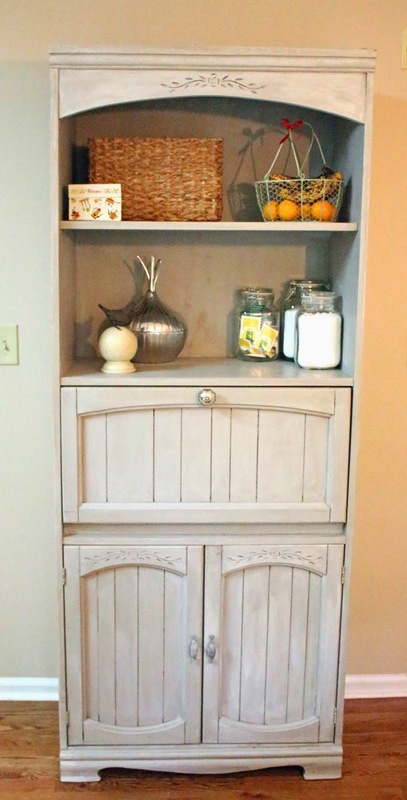 I think this would be great in a closet or craft room, NOT in the kitchen. 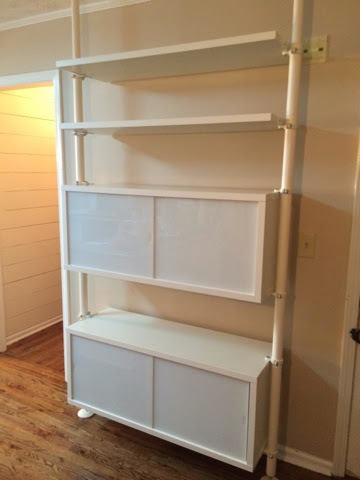 We knew we needed to get rid of it, but we also knew we needed something that could function as a pantry until we remodeled the kitchen and regained our actual pantry space back. It especially bothered me because it sat directly across from the fun breakfast nook space we created. It was throwing everything off. Then, last Saturday, Mom and I were thrifting and I spotted this little lady. It was super ugly. It had seen better days. There were giant holes in the back panel. 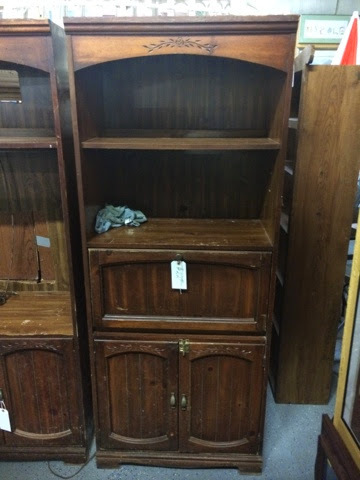 BUT it was solid wood and was the right size and shape. AND IT WAS ONLY $20!!! Hubs thought I was crazy when he came to pick it up. He laughed and said it was super ugly, but we would only be wasting $20, so he was up for the challenge. 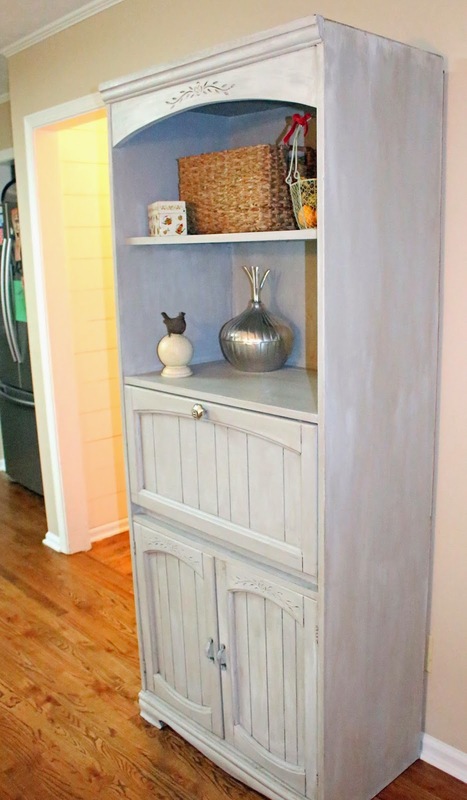 We decided to go with Annie Sloan Chalk Paint because I love the look and the ease of working with it. 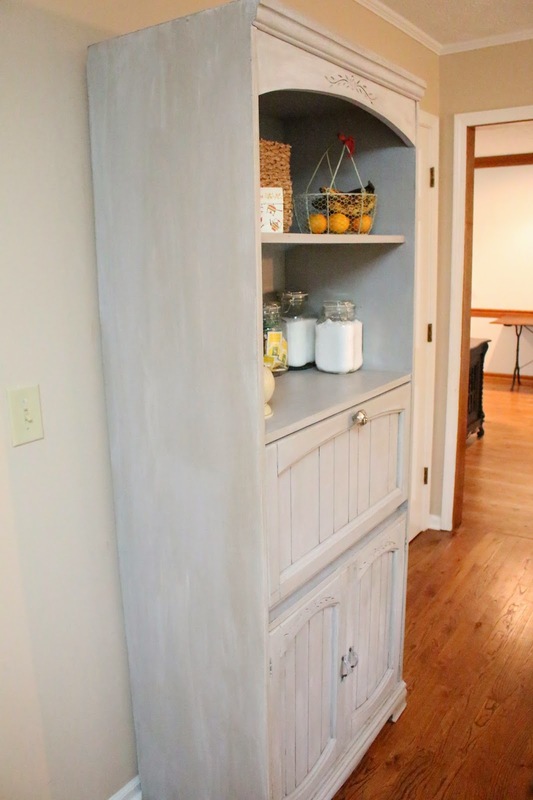 I wanted to do a gray color to play off of the breakfast table, so Paris Grey was a good choice. 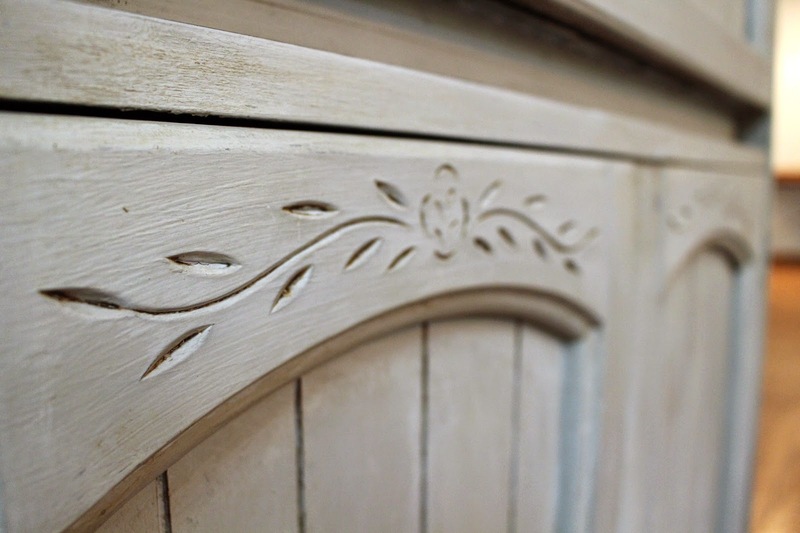 The beauty of this chalk paint lies in the fact that you virtually do NO prep. There is no sanding, no priming... you just paint. 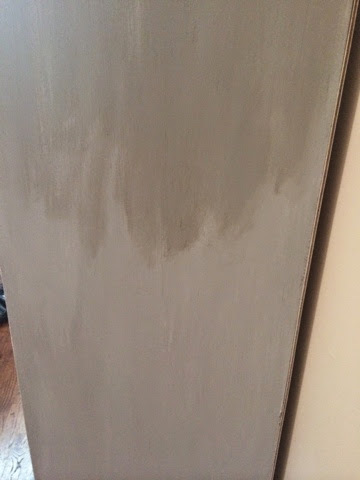 Two coats later, and we had our base color. 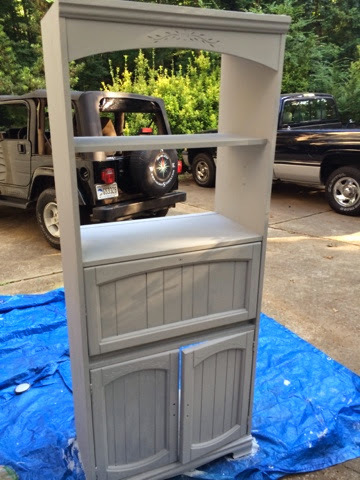 I really wanted a tiny bit of an aged, distressed look, so once the base color was dry, we added a tiny bit of white paint over the gray. Quite simply, Hubs would lightly paint the white on, then immediately wipe it off. Before moving the new pantry upstairs, we had to take down the old one. I sold it on Craigslist. WOO HOOO! 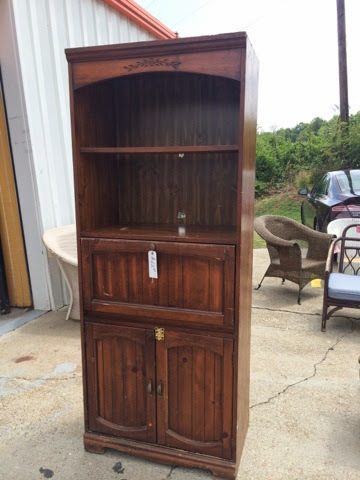 The new owner said she was putting it in her closet... because that's where it belongs. In the meantime, my kitchen looked like THIS. UGH. Don't worry, the Krispy Kremes didn't sit there for very long. Finally, we hauled the thing into the house. I complained the whole time. I HATE moving giant things. Hubs then measured, cut, and nailed the new back panel into place. The old one was in really, really bad shape. Once the back was in place, we added a layer of dark wax to further give it an aged look. I was so pumped about getting the wax in all the nooks and crevices of the carvings. You can see the difference wax makes here. 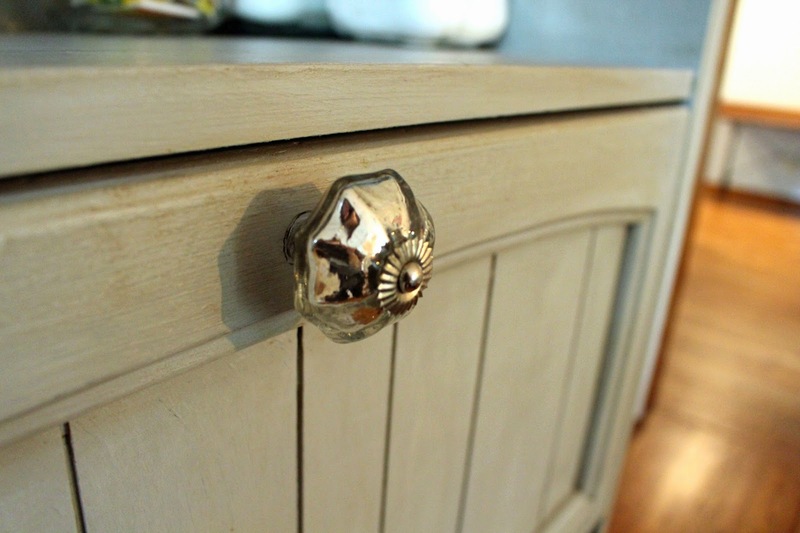 Once the waxing was done, we added a new knob for the drop down cabinet. And with that, this project was complete. Knob was purchased at World Market. 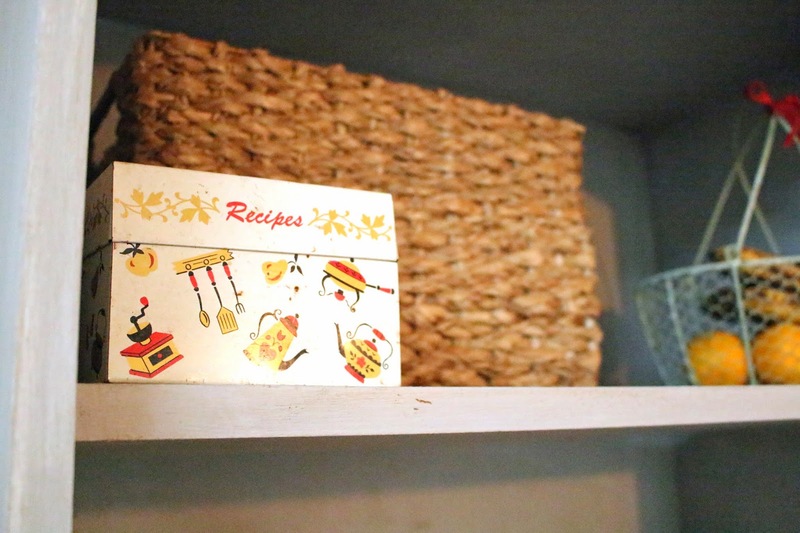 And I now have a place to proudly display my Grandmother's (Martha Nell) recipe tin. Quite a difference, huh? I love my little $20 cabinet pantry. It fits the space so much better than the Ikea unit that was there before. This ugly duckling has been redeemed! 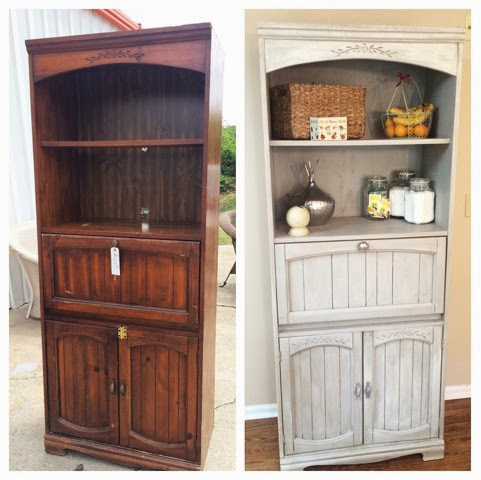 Revamping old furniture is one of our favorite things to do. We enjoy giving discarded items a new life. Have you taken on any furniture makeovers? I'd love to see them! Talk soon, Friends! p.s. You will notice a great deal of pics from the last two posts have a higher quality (some are still iPhone photos). Not only did Hubs throw me a LATE birthday party, but he also gave me a late birthday present... a new DSLR camera. I'm still learning, but I'm having so much fun with it. Hoping to shoot better photos from here on out! This is so cute! 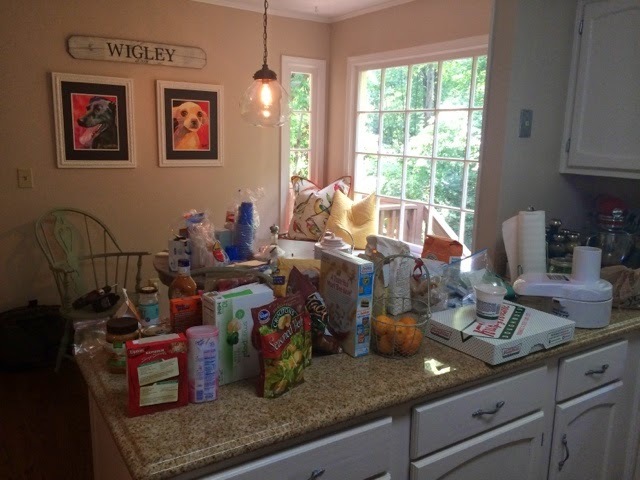 My husband and I are thinking of buying a house with a less than great kitchen...I love posts like this for ideas! ABSOLUTELY gorgeous! I have the same pewter onion container. 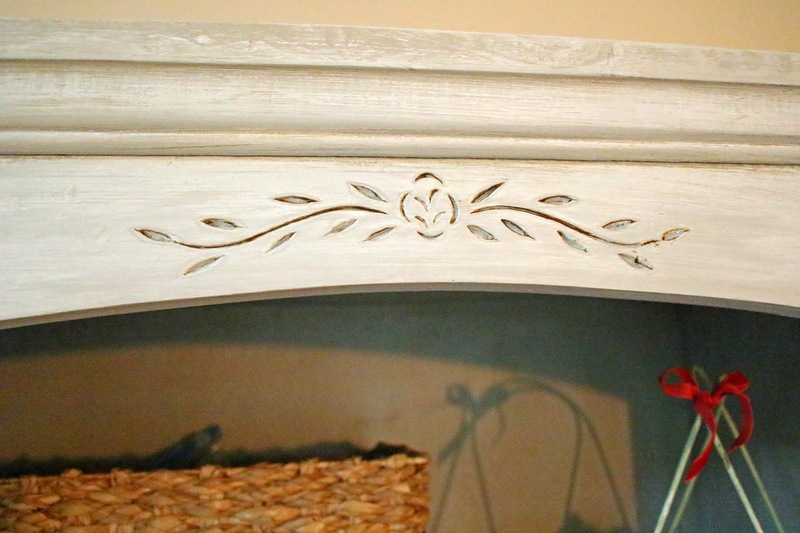 I have heard about chalk paint but I never realized you don't have to do prep work. I might invest in some and go shop my local thrift stores! Shut the front door! That looks amazing! 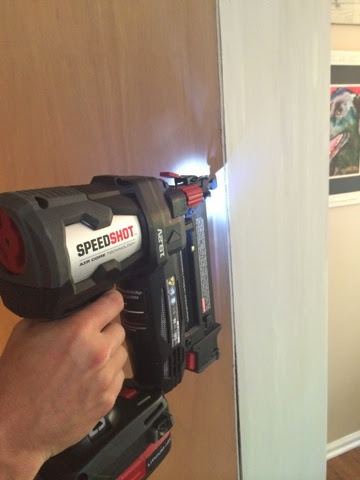 You said it was a pantry replacement--is the food hidden away behind the doors?